Alwaeli – Superyachts News, Luxury Yachts, Charter & Yachts for Sale. The Motor Yacht Alwaeli (image above) was completed for the owner in by Crn in the year 1991 and the luxury yacht measures 68m (223.1 feet) in length. This boat was constructed in Italy. Awal; Awal Ii is/are her former name(s). The sleek exterior lines was drawn up by TERENCE DISDALE DESIGN. Crn drew up the naval architecture. Interior design was by Terence Disdale . 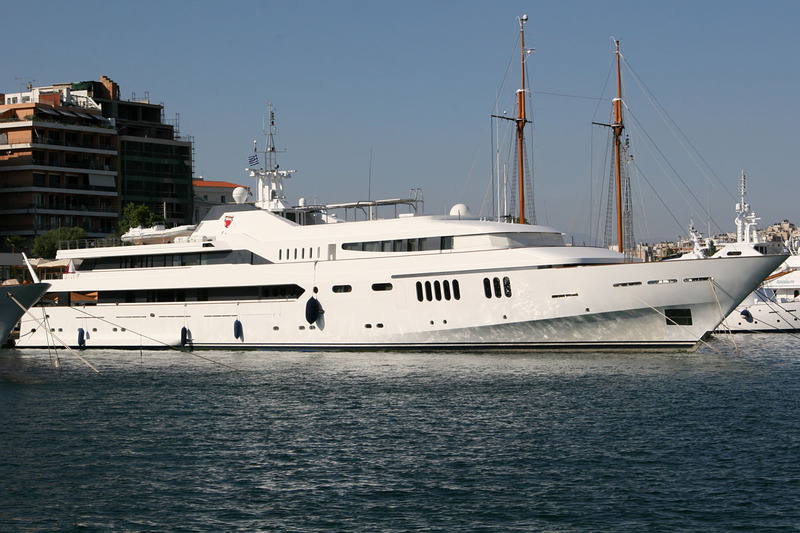 The material steel was employed to fabricate the superyacht hull. The maximum draft in m is 3.51 (11.5 ft) and the widest beam in in metres is 11.52 (37.8 feet). Predominantly aluminium was utilised with the construction of the superstructure. Alwaeli when underway has a cruise speed of 17 knots and her navigable range in normal weather conditions of around 6000 miles. 152000 – litre is the full fuel storage limit providing the furthest range. Alwaeli has accommodations for a capacity of 23 guests. This ship is actually has the ability to be carrying up to 17 crewmembers to make a peaceful luxury yacht vacation feel. This yacht is powered by Deutz-Mwm. She flies a flag from Bahrain. Please contact a preferred experienced yacht charter broker firm for details regarding having a charter holiday on Alwaeli, or for ascertaining if she will be available for yacht charters. In addition, you can request a yacht sales broker to find out if Alwaeli could be currently for sale to purchase and her value. If you have any images or a video of Alwaeli, register or log on and add them with the links below.